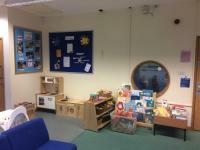 Portishead Children's Centre is situated within St. Barnabas Centre (the old St. Barnabas C. of E. V.C. 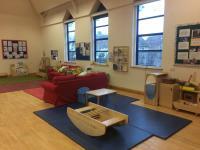 School) offers activities and groups for children 0-4, their families and their community. The centre also has a Well Baby Clinic. Contact Portishead Children's Centre on 01275 884 001 or email portisheadchildrenscentre@n-somerset.gov.uk for more information. 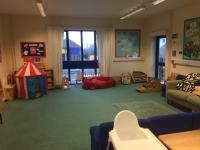 Portishead Children's Centre is accessible to all with ramped access to the hall and main building and accessible toilets. There is also a changing place with ceiling hoist, raised bed and modified toilet. There is limited street parking. Please call us regarding accessible parking on our driveway. 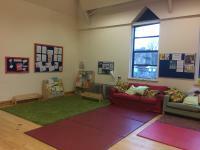 Portishead Children's Centre is open Monday - Thursday 9:00 - 17:00.